The United States military performs every function a community does, and is charged with the most important mission in the world. 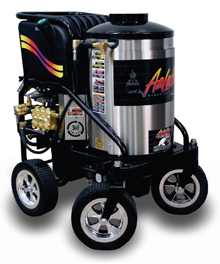 We feel AaLadin pressure washers are reliable enough to have earned a place in the US military. AaLadin really is different, better. When you consider our rigorous testing, maintenance friendly design, and United States technical support, AaLadin makes the equipment that makes sense for the United States Military.